Collaborative Graphing Activities. Includes 4 graphs over seasons, sports, apples, and ice cream. 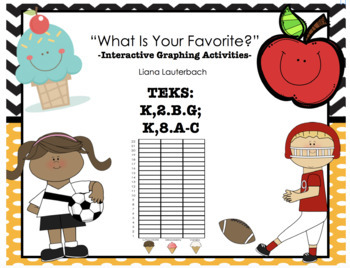 The 5th graph is blank, allowing students to create their own prompt and then continue filling out their graphs. With each graph, there are 3-4 questions relating to it.